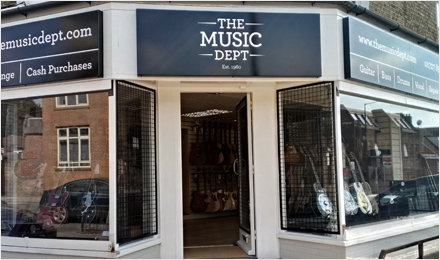 We are a local music shop that has been on London Road in St Albans since 1980. We sell guitars and pianos for everyone from the beginner to the semi pro. We stock a range of Yamaha Digital Pianos, making us a great alternative to a Yamaha piano showroom. We also have an onsite workshop for your servicing and repair requirements, and a busy teaching practise that offers lessons in guitar, bass and drums. We’re open 09:30 – 17:00 Monday – Saturday, with parking available on our forecourt. Visit us today and see our new range of pianos St Albans. Through our website now, you can now view information on our lessons, read the latest information on our Pianos Hertfordshire blog, and browse some of our products in our shop, including speakers, guitars, drums, and Yamaha digital pianos, which can be found in our new online Yamaha piano showroom.